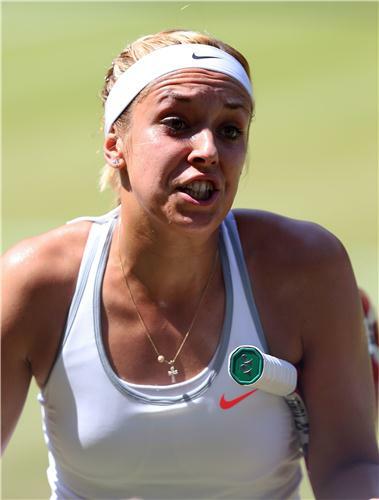 Three times Lisicki has come through a three-setter in the last two weeks so don't give up hope Lisicki fans. Really hope Lisicki can turn things around. Backing her all the way. More hope for Lisicki fans as Bartoli goes long (just) and it's deuce. Bartoli can't quite dig the ball from out of her feet and it's ADV Lisicki. A stunning forehand and Bartoli steams into the net and WHACK...Lisicki has no chance..DEUCE. Is Lisicki finally getting into this match? That was a huge chance for Lisicki. Several break points but Bartoli hangs in there and holds. The German definitely hitting the ball sweeter but the errors are still there..
A fizzing rally and Bartoli powers the ball down the line for a inner. Hawkeye shows it's out but no challenge. It's 0-30 and Lisicki needs some chill-time. Probably not helped by her mum jumping up and down in the stands. Three break points for Bartoli....Big moment. C'mon Sabine. Your Wimbledon is drifting away. A massive smash and it's another break. GAME BARTOLI. The crowd sound a little stunned. Whatever a stunned crowd sound like, but this is not the final many were hoping for. 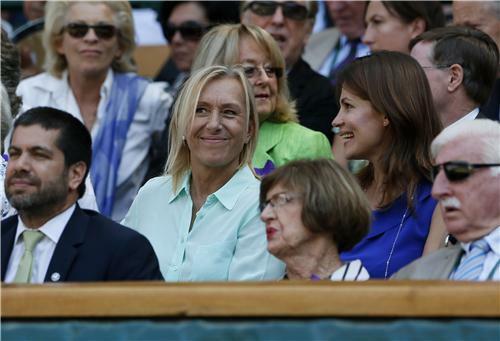 Fair play to Bartoli though - a solid effort so far. 17 unforced errors from Lisicki. That's a shocker. 30-15 on Bartoli's serve. Any way back for the German? 30-30 and Lisicki has a sniff of a break but Bartoli moves up a gear, plays a sweet approach shot into the corner, comes into the net and sweeps it away. BOOM. GAME TO BARTOLI. Afternoon everybody. It's a sweaty one for sure. The name Fred Perry ring any bells? Fred Perry isn't just a shirt you see in the high street....that boy is the last men's Wimbledon champion from Britain...1936. Yep - 77 years.....that's the wait the Britain has endured......can Andy Murray rectify all of that? in the last four Grand Slams involving Muzza and Djoko. Murray will be focusing on his US Open victory over the Serb last year. Djokovic will be eyeing his seventh major title this afternoon after glory in the Australia Open in January. Will Djokovic still be suffering after his epic five-setter against Del Potro? Will the heat be a factor? Will Murray be strong enough to bounce back from his tearful defeat by Federer 12 months ago? Will the British crowd be a hindrance or bonus? So many questions....anybody got any answers? How will the sets go? 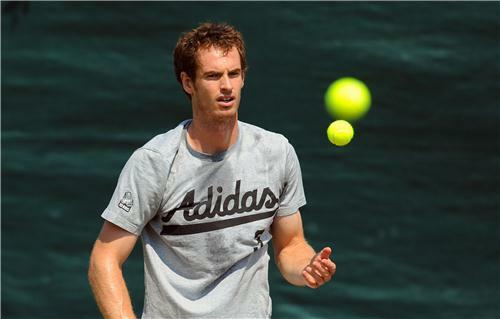 Good luck to @andy_murray today. This heatwave has to be in his favour. Serbs are not as accustomed to the heat as Scots.